Last week, Stephen Graham sat down with WBEZ 91.5 in Chicago to talk about the new and increasingly militarized forms of law enforcement that are fast becoming the norm throughout the West. 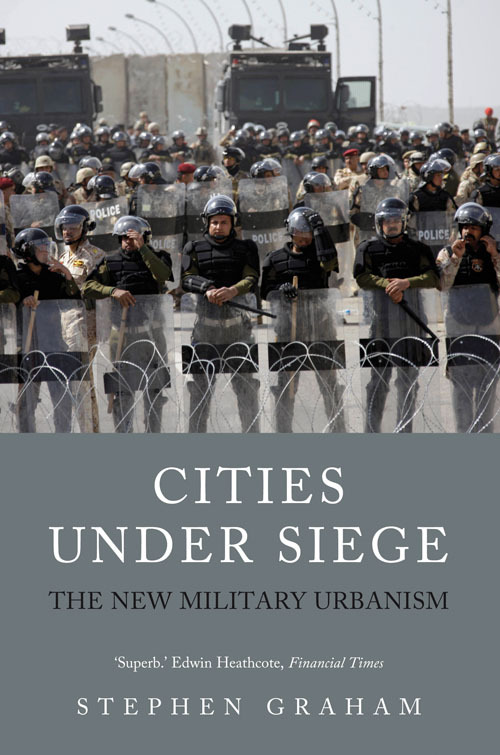 Drawing from his new book on the topic, Cities Under Siege: The New Military Urbanism, he addresses this rapid transformation and critically examines both the subtler and more familiarly overt modes of social control and surveillance that are being put to use in troubling ways. In the interview, Graham touches on these new modes of enforcement and considers how they are used to subdue dissent and criminalize behaviour, among other things. With new technologies and invocations of "security concerns," these are now becoming a part of our urban landscape and are being used in everything from the increased policing of borders and crowds to the surveillance of public space and police crackdowns. As Graham suggests, it is part of larger, discomforting trends that are changing the way people live and move within cities. Please visit WBEZ to listen to the interview in full.